Over the past 20 years its fair to say I have listened to a lot of ambient music. Some great and some , well, not so. Some CDs I have bought I have listened to only a handful of times while others have remained a regular fixture in my CD/LP player for over two decades and sound just as fresh as ever. 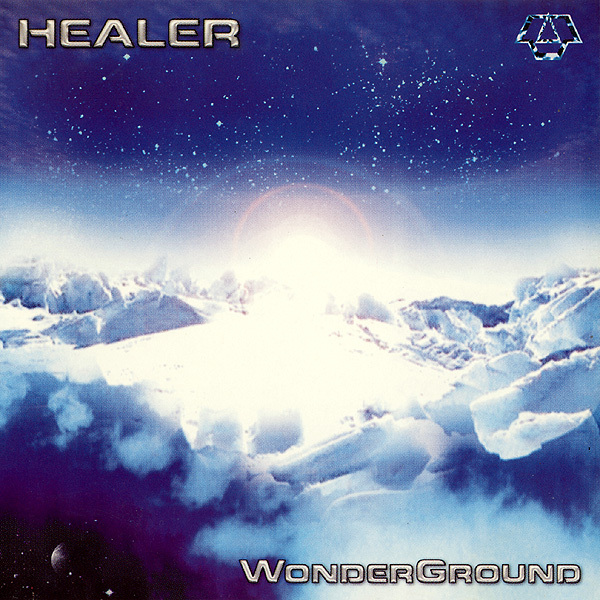 One such long-player is "WonderGround" by Michael Andresen ( a.k..a Healer ). 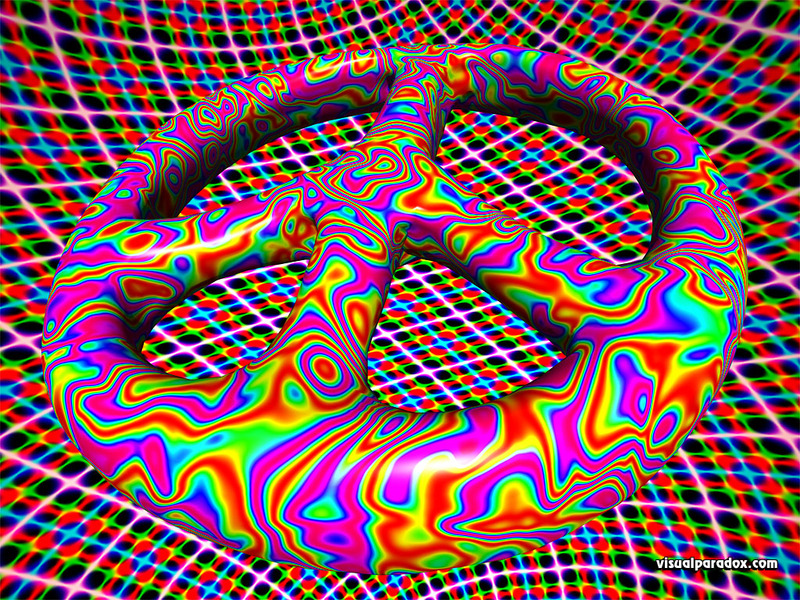 I still remember the day I walked into the local psychedelic trance record store and saw it on display in the glass cabinet with it's cloudy CD jacket design. I asked the guy to put into the only CD player he had available and donned the headphones. Instantly I was transported to a world of dreamscapes and fantasy. Any stress that I felt that day was washed away in a matter of minutes as Healer's incredible debut album took hold of me. I bought it no questions asked. Since it's release in 2000, Michael released just the one follow up album in 2004 titled "HigherGrounds". Emotionally and technically it is just as amazing as the debut but for me the WonderGround album remains a favorite. There is no real reasoning there - probably just because it was the first and it made a initial emotion connection with me. Michael also records trance music under the name "12 Moons" which has proven succuessful with appearances on over 20 compilations between 2000 and 2005. So what has Andresen been up to since then you might ask ? 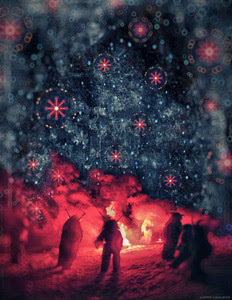 Despite a lack of any further releases as either Healer or 12 Moons, he has been busy over the last few years working on video production and as a photographic artist. You can check out some of his work over at the Michael Andresen Website. Perhaps the best news of recent times was Michael's decision to make all of his previous albums available as free downloads via the Ektoplazm website. How cool is that ! So if you have never experienced the Healer or 12 Moons sounds then now is the perfect time to start. Another thing that also looks promising is the release of a number of music videos on YouTube such as "Dream Time" which you can view below. 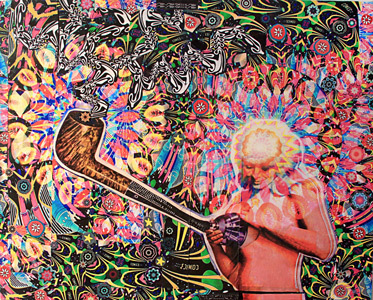 From time to time I enjoy posting about psychedelic artists here at the psyamb blog. 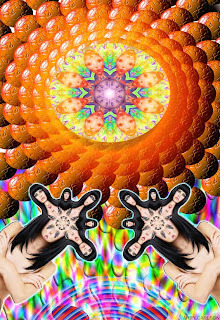 This time I would like to introduce you all to the wonderfully psychedelic art of Larry Carlson. Larry's art is quite varied but all of it exhibits themes of psychedelia and plain old weirdness that is a real delight to the eyes. 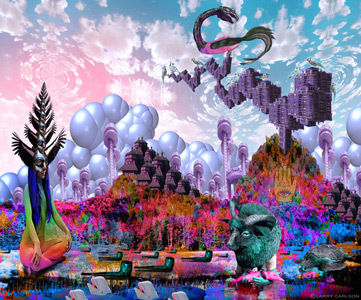 From traditional collage work to digital photography he continues to push the boundaries of what is possible when trying to express ideas around the psychedelic experience. G4Tech TV called him “The Salvador Dali of the Next Century”, and they may be right in that assessment. 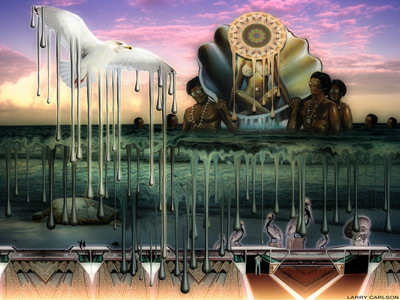 Larry is also an avid music producer having created 7 albums of surreal soundscapes to date. 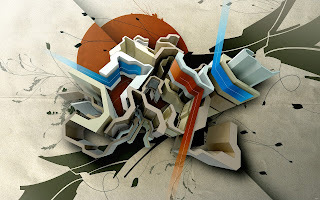 Most of his art comes is standard sizes however , for me, what really impresses is his "web art" series in which he creates massive vertically scrolling digital collages. They are perhaps a little too big for me to include here so follow this link to view his web art series page. 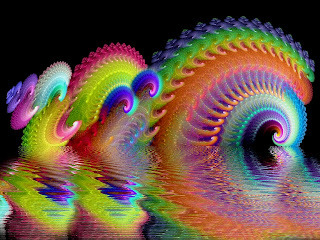 Here is my collection of psychedelic wallpaper that you can use for desktop backgrounds to liven up your pc desktop. I've made use of these trippy backgrounds for a number of years now and my collection continues to grow. Some of them are quite large HD and you can expand each image by clicking on it. 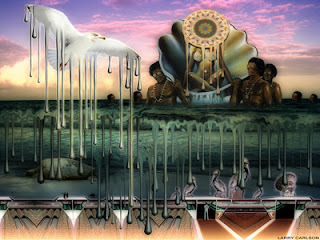 The collection ranges from simple, traditional hand drawn psychedelia to more complex 3d digital art renderings. If you know of any other good free desktop pics with a trippy theme add a comment below and let us know what you have. I'll try to add some more trippy backgrounds in the future. While the internet is full of psychedelic images and psy art not all of them make for great backgrounds so I'll see what I can put together for another post. BW: Logistical problems aside, if circumstances were such that you could do every single gig with a live band, would you? SP: Absolutely, yes. It’s much more fun. Notwithstanding the fact that all the people in the band are my close friends that I love simply to hang out with before or after the show, I’m honored to be able to play with musicians of such high caliber and talent. They are all truly outstanding: from Joe Russo on drums who’s maybe one of the best musicians I’ve met in my life, to Pete Callard who is just a phenomenal guitar player and has a massive wealth of musical knowledge, or Harry Escott the cello player, who has scored music for 300 piece orchestras and choirs in Dubai. Raja Ram - my guru, my student, my friend and my muse always has the band in stitches with his cunning linguism. BW: Speaking of pressure, do you ever get nervous? SP: Every time. I would like to be a little bit less nervous because it can be mildly incapacitating. But, on the other hand, I think nervousness is preferable to indifference. It keeps me on my toes. And I don’t think you want to be too complacent about a show. I think the day I stop being nervous is probably the day that I stop doing shows. 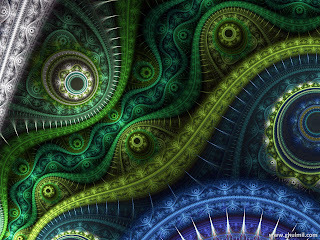 Today we have a nice psychedelic dub mix up for download. This mix kicks off with a smooth dub from up and coming American producer "Soulacybin" with the track "Bolzar" from his release "Self Existing Earth", one of the many excellent free releases to be found at PsyderWeb netlabel site. Soulacybin's music is a perfect mix of traditional dub using live guitars and synths combined with more modern sounding ambient soundscapes. In this track the bassline sounds a little like "The Police" track "The bed's too big without you". Pretty cool stuff. Following on then we have the track "Spatchulah" from the rather excellent new CD "Power Salad" by Australian based duo Sunmonx. From their Melbourne studio producers OPIUO ( from N.Z ) and ALBINO ( from Mexico ) have cooked up a refreshing mix of psychedelic dub fused with a blues guitar groove that will have your foot tapping and head nodding from one toke to the next. If you ever wondered what a mix of dub and blues would sound like then here is your answer. Next up is veteran psydub producer "Kuba" with a tune from his latest release "Random Precision" on Chillcode Music. Kuba has firmly established himself as one of the world's best psychedelic ambient and dub music producers since his debut in 2001 in the group Grey Beard where he released the phenomenal track Aushandi on Youth's LSD records. Between 2006 and 2009 he was very productive - releasing an album a year and touring festivals and clubs. The latest album was a little longer in coming into being. Given the high quality of the 13 tracks involved you won't hear any complaints from me. This is a absolute corker of an album that combines dub, world music, techno and more. There are no throw-away tunes or fillers here. Solid, solid, solid. Speaking of world music, the next tune comes from dub and world music producers "Celt Islam". 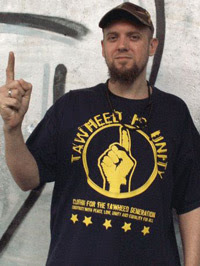 Celt Islam is best known for his work in the Sufi-Dub genre. Sufi-Dub was formed a few years back and championed, pretty much solo, by Celt Islam. To the best of my best knowledge it is simply dub music with a middle eastern feel. It hasn't really taken off like other dub forms but C.I continues to plug away in this musical niche. That's not a bad thing as his music is certainly top-shelf and why dilute it with copy cats anyway ? This track comes from his 2012 release "Baghdad", a truely wonderful musical journey that I highly recommend to traditional dub music fans and anyone who likes a bit of world music flavors in their dub. "Dub One!" 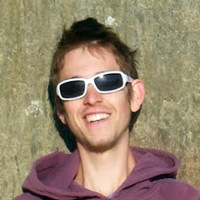 [ Peter Seifert ] has been creating dub music and releasing tracks though iD.EOLOGY since around 2005. His latest release, the "Blow Dubs EP" is a nice little 5 track EP with some funk, jazz and salsa inspired dubbness that would appeal to a broad range of listeners. While that might not appeal to pure dub music fans let's not forget it's free so why not give it an ear and see what you think. Visit the iD.EOLOGY website for more info. One of the best albums to be released in the psychedelic dub genre of recent times would have to be the remix project that "Desert Dwellers" recently released on "White Swan Records". 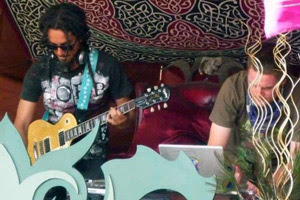 The project sees a number of the leading psychedelic music producers give the DD sound a refreshing makeover. 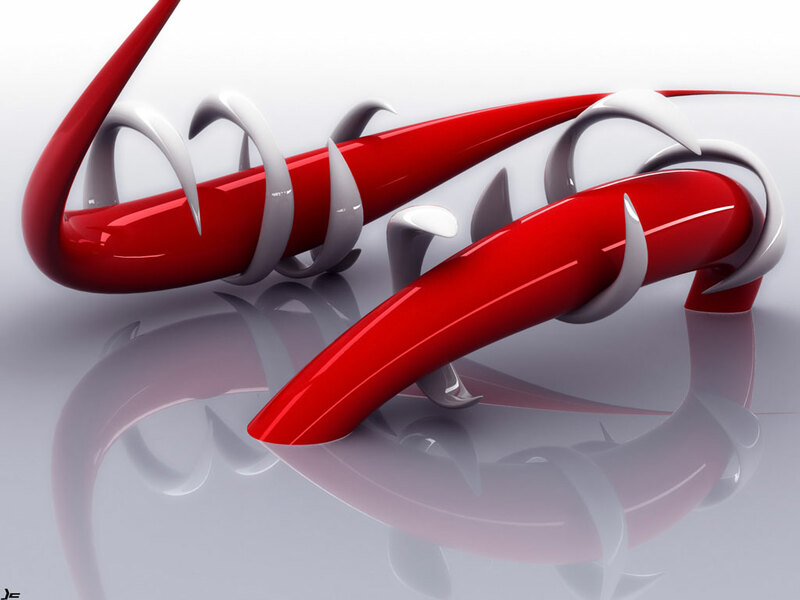 It has proven to be increadibly successful in the charts and online retailers. Everyone invloved deseves all the praise they get as it really is a remarkable album. It's not too often that every tune on a remix CD is as good as we have of "DownTemple Dub: Remixed" so if you haven't had a chance to yet then I highly recommend a dose of this one - you wont be dissapointed. The next tune is very cool indeed. "Four Lead Clover" by "Mr.Lager" was originally relesed on Sub Freq records. I picked this up through iTunes from a 3 track EP I think. This tune has a nice warm feel to it - it seems to occupy a lot of audio space. Would love to hear a full release from Mr. Lager someday. Globular provides a a slice of deeply psychedelic dubbed out trippiness with the next track "Subversion" from his fantastically phantasmagorical new album "A Self Fullfilling Prophecy". This CD is a real step up from his previous work in terms of production quality. A very satisfying release that gets better with each listen. Pickup your free copy now over at the Ektoplazm website. One for fans of Shpongle , Ott and Androcell. And while you are checking out Globular why not also take a look at "Up The Duff", a massive 27 track free release also available at Ektoplazm. There you can find the next track in our mix "Regrowth" by New Zealand's "Mr. Squach". And if I'm not mistaken the samples in this song come from non other than The Family Guy's Mexican maid Consuela ! Check out more from Mr.S at his Soundcloud page, especially his latest track on there - the 9 minute stomer "The Squatch Expands Life"... what a tune ! Next is something a little more tradional with a bit of a straight up dub tune from French producer "Kanka" [ Alexis Langlois ] released on his album "Dub Communication" last year. Alexis mixes tradional dub sounds ( such as the nice melodica work in this track ) wih electro-dub elements to create a variety of dub based styles. A nice summer afternoon CD for relaxing around the BBQ. 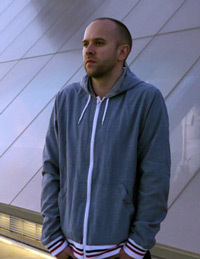 Abakus is well known to listeners of the PsyAmb podcast as he has featured in a number of previous mixes across a number of different styles. That's what you always get with Abakus - a variety of top quality tunes. 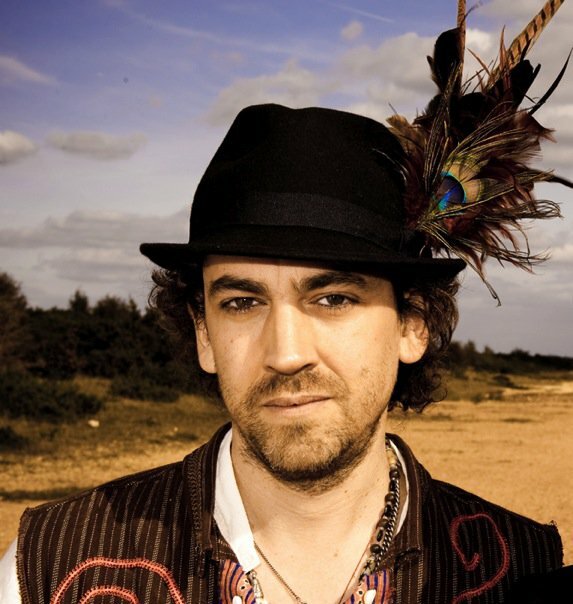 Abakus [ Russ Davies ] has used a number of names in the past as he seeks out various genres in which to express his love of music. In a career that has lasted over 10 years he has continually evolved his sounds, picking up a loyal support base along the way. I was first made aware of Russ' talents when listening to the early LSD label compilation in which he often featured , along with Humphry Bacchus, as the group Nada. 2004 saw the release of his debut CD "That Much Closer To The Sun" which used to stay in my CD player for days if not weeks on end ! His sound draws on many influences from old and new and has become known for being of it's own kind, a fusion of downbeat, dub, techno, trance and electronica. The guy is a true musician's musician. 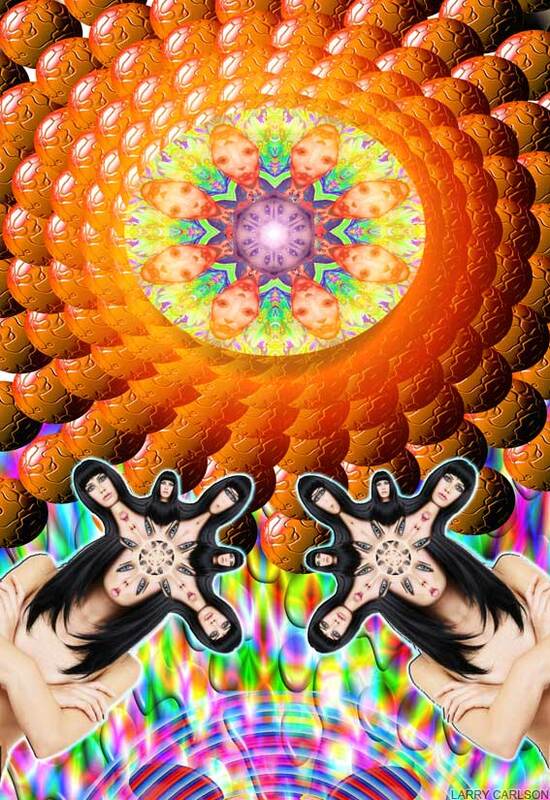 We close out this mix with a final bit of psychedelic dub from the Desert Dwellers remix CD once more. This time we have a remix of the track "Yoga Dub Mystic" by "Eastern Sun", a group of know nothing about sorry. If anyone has any info on Eastern Sun please drop a comment below and let us know who they are because this a really smooth and lush remix. 05. Massive Dub Job (Rubber Mix) - Dub One! Good quality psychedelic fonts make a big difference to a web page with a psychedelic theme or for creating party flyers and CD covers. I thought it might be worthwhile sharing my favorite free psychedelic font collections that I've used over the years. 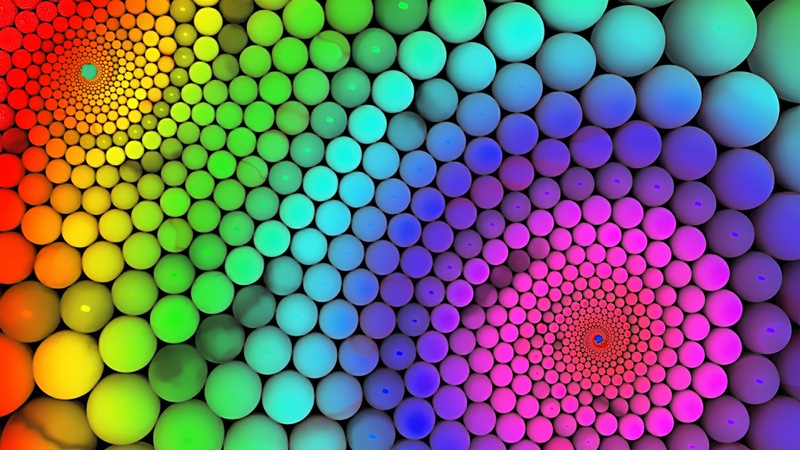 Here I list some of the most trippy fonts that use can download, all for free, and use in programs like photoshop or gimp for creating striking web images for your next project. 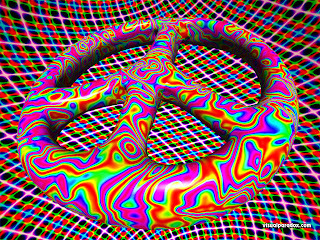 Apart from the usual 60`s and 70`s psychedelic poster fonts you will find some very cool modern designs that can used to create a psychedelic vision of the future.